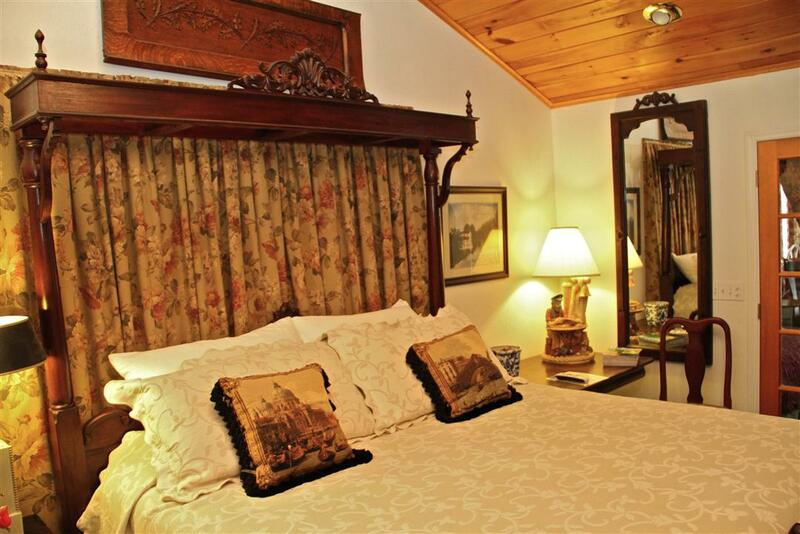 The Admiral’s Suite is our only two room suite, also located on the second floor of the Manor. This suite has a French Nouveaux King-sized bed with a vaulted ceiling in one of the rooms and a knotty pine ceiling throughout. 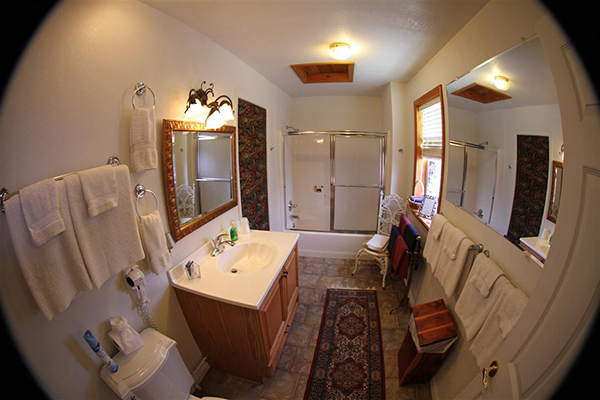 A second room furnished with two full-sized beds and a twin bed with a trundle bed, also has a sitting area with a couch and a second TV. The large private balcony has a sweeping view of Echo Canyon. 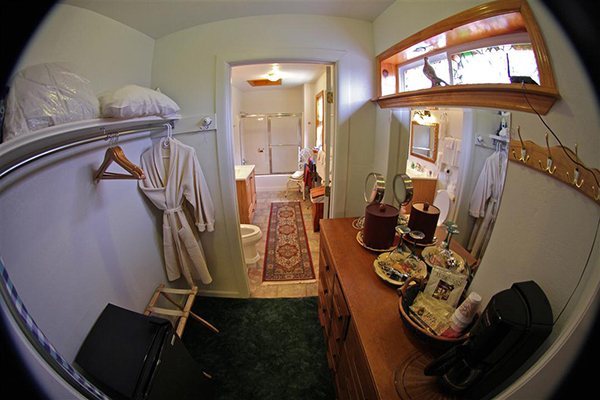 A full bath, mini-fridge, coffee maker and plush robes are provided. This room has satellite TV with over 50 movie channels.